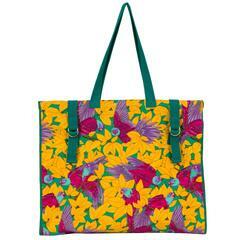 Hermès colorful yellow parrots beach tote in canvas. Shoulder drop, 10"L. Duster is not included. 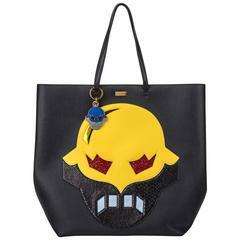 Chanel Coco Cocoon burgundy and black leather large bag. Handle drop 7". Collection 2009/2010. Comes with hologram and original box. Hermes excellent condition negonda etoupe garden party MM with palladium hardware. Date stamp P for 2012. Comes with non original dust cover. 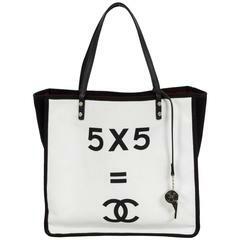 Chanel black-and-white canvas canvas tote with whistle charm. Comes with hologram, booklet, ID card, and original box. Handle drop, 7"L.